SACRAMENTO, Calif. /California Newswire/ — Today, Calif. 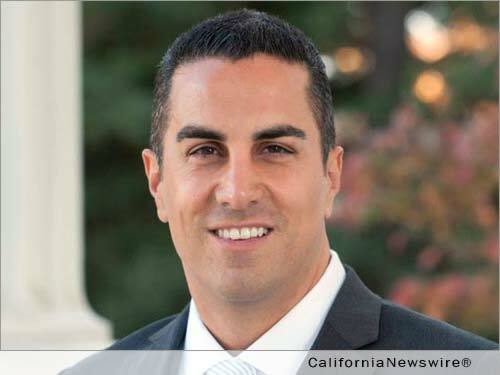 Governor Brown signed AB 1492, legislation by Assemblyman Mike Gatto (D-Glendale), which revamps and improves California’s DNA-testing laws. Without this new law, thousands of rapists and murderers, arrested for lesser crimes, could slip through law enforcement’s hands. The need for AB 1492 arose in December 2014, when a Court of Appeal in People v Buza, dealt a blow to law enforcement and the use of DNA in criminal investigations when it struck down most of Proposition 69, California’s landmark DNA crime-solving law. The court found several aspects of the initiative unconstitutional, and this ruling effectively halted DNA collection from arrestees in California, likely leaving thousands of serious crimes unsolved. If that decision stands, California will need a new criminal DNA-testing regime. But the legislative process move slowly. If the Supreme Court upholds Buza sometime next fall, it could be 2018 before a newly passed law could take effect. That’s where Gatto’s AB 1492 comes in. It represents a rare example of planning ahead in case of a bad outcome. Gatto’s legislation will create a DNA-testing program that includes the constitutional protections of a Maryland law that was upheld by the U.S. Supreme Court. Like the Maryland law, AB 1492 would allow for DNA collection from all felon arrestees, but would permit the sample to be uploaded to the state’s database after a judicial finding of probable cause. To protect the innocent, the legislation would also create a framework to have the DNA sample to be expunged when a case is dismissed, or the accused is acquitted or exonerated. Allowing for collection at the point of arrest, combined with these additional constitutional protections, will expedite the investigative process and aid law enforcement in focusing their efforts on other suspects. As of June 2015, DNA evidence has helped over 33,605 criminal investigations in California and over 288,298 criminal investigations nationwide.